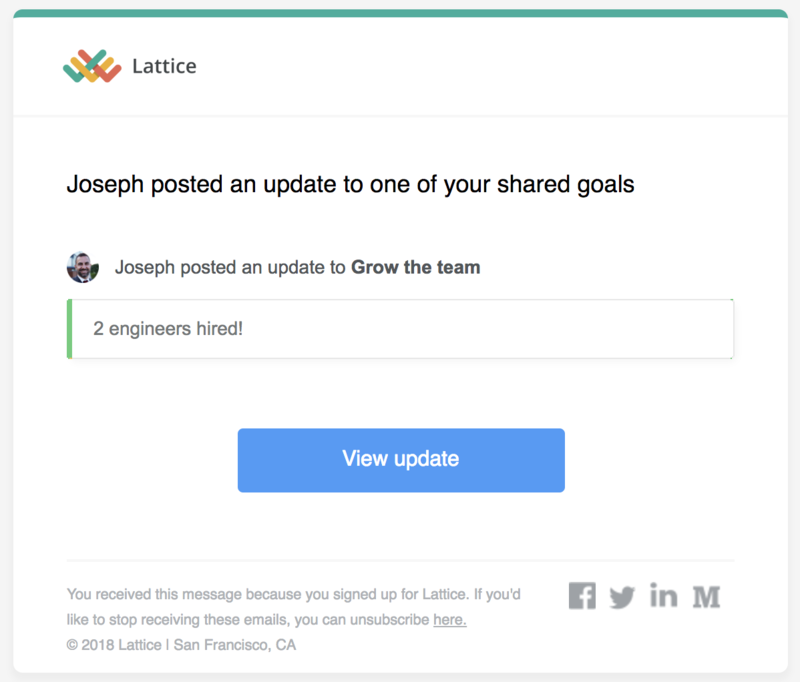 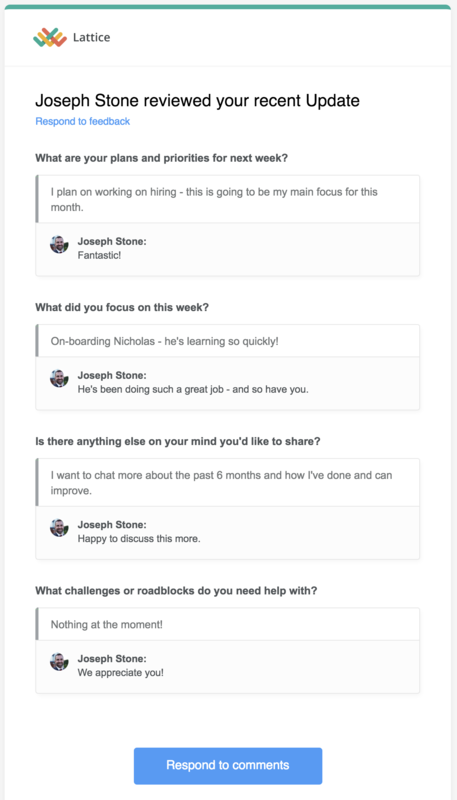 Currently in Lattice, you can manage some of your email notifications by unsubscribing from certain emails and having your manager change the cadence of others. 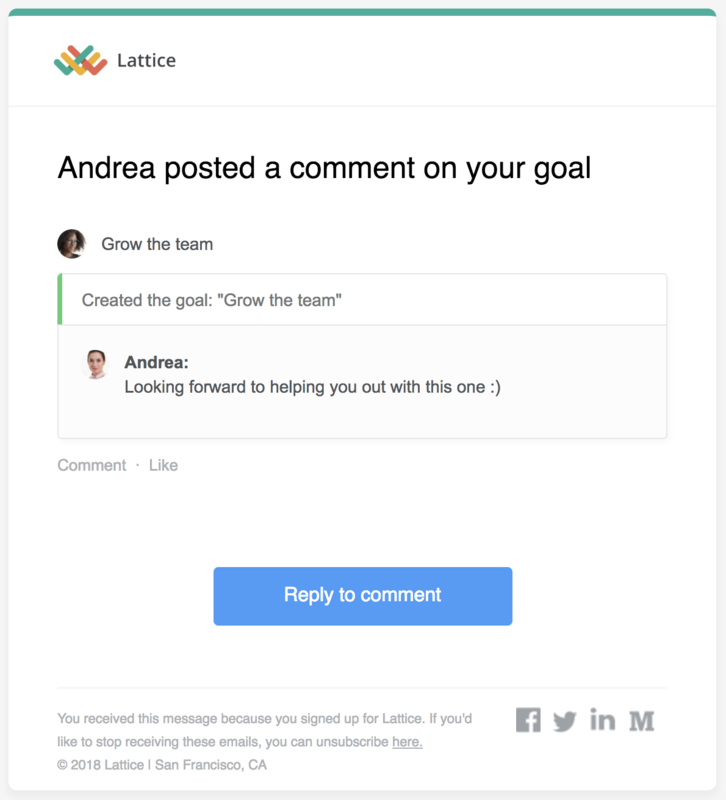 To unsubscribe from notifications, look for and click on the unsubscribe button at the bottom of the email. 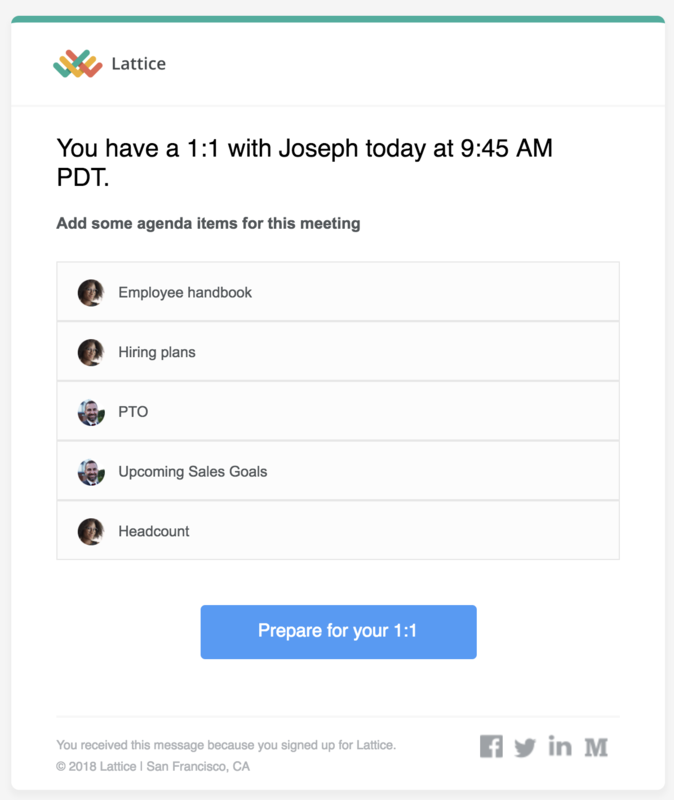 Below is a list of emails that fall into either category. 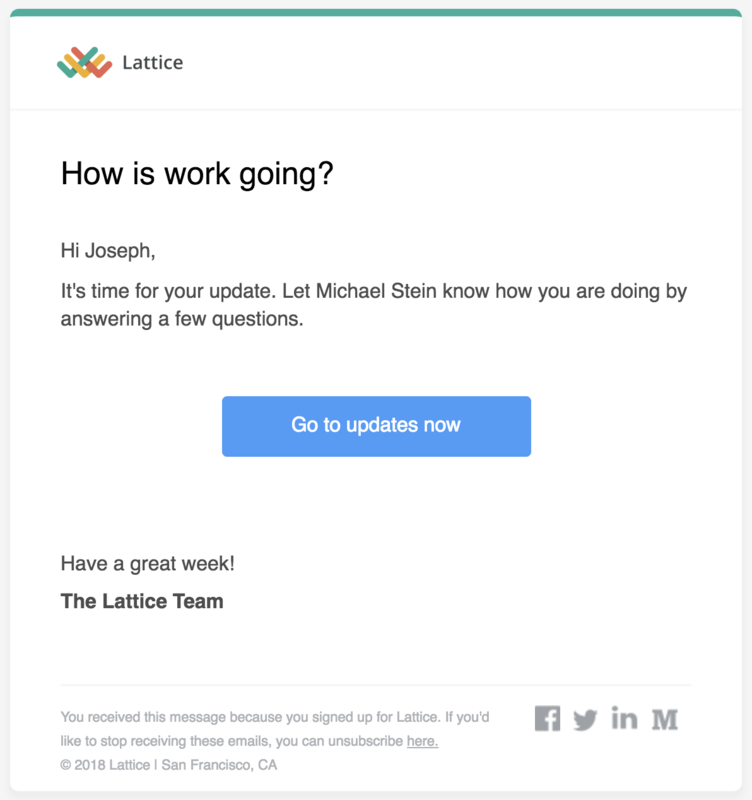 If an email is not listed, you cannot change the notification settings. 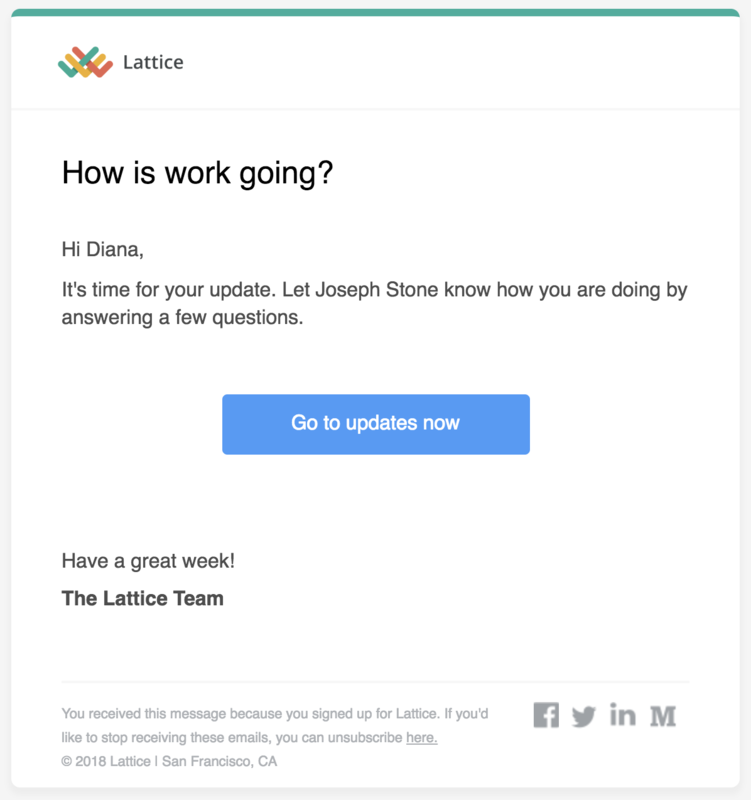 You may not be able to unsubscribe from certain emails because there is an action you need to take. 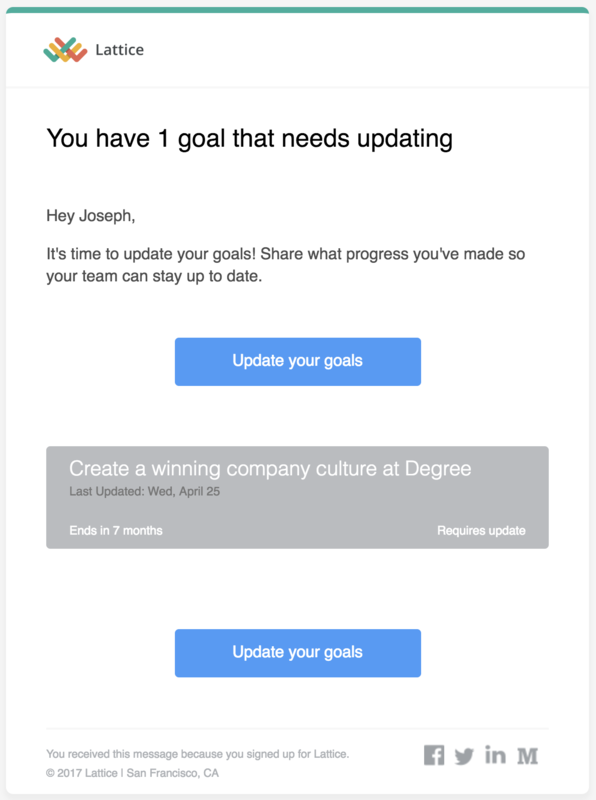 The reason for this it that we want to make sure employees are not unsubscribing from important reminders! 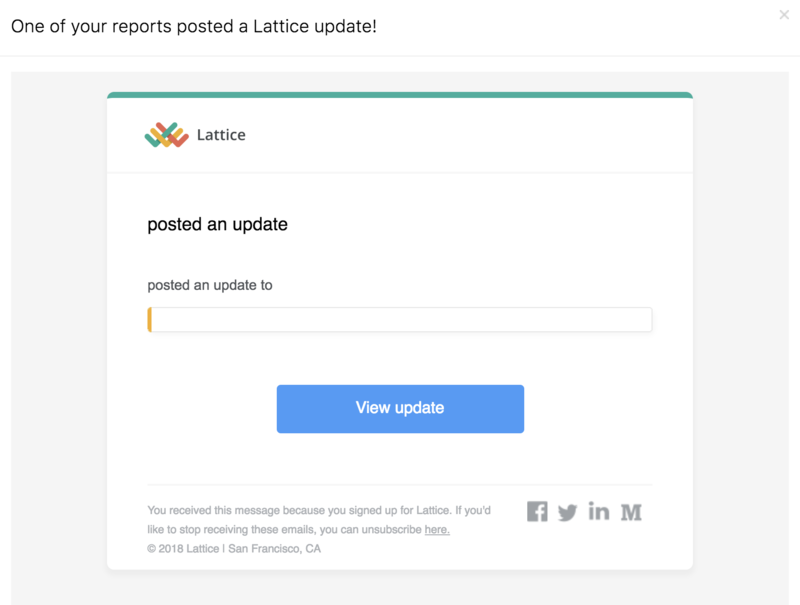 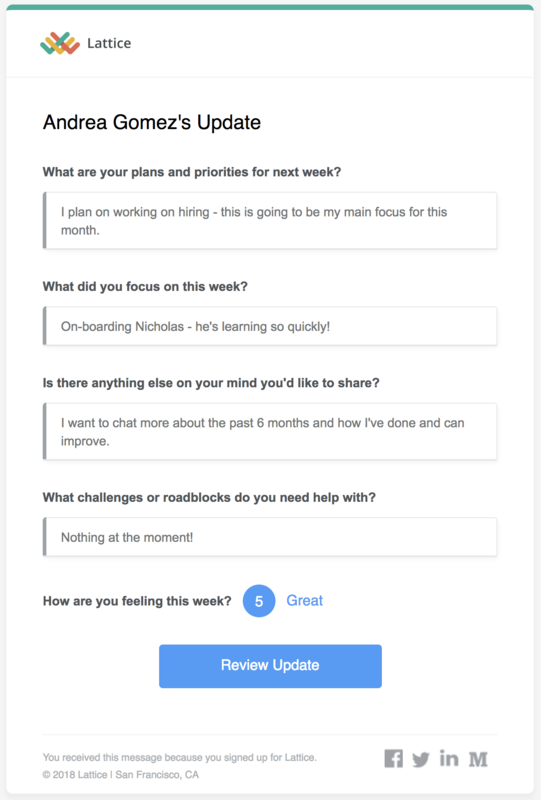 Update Reminder Email: Admins or Managers (depending on your company's settings) have the ability to change the cadence at which you're asked to provide an update. 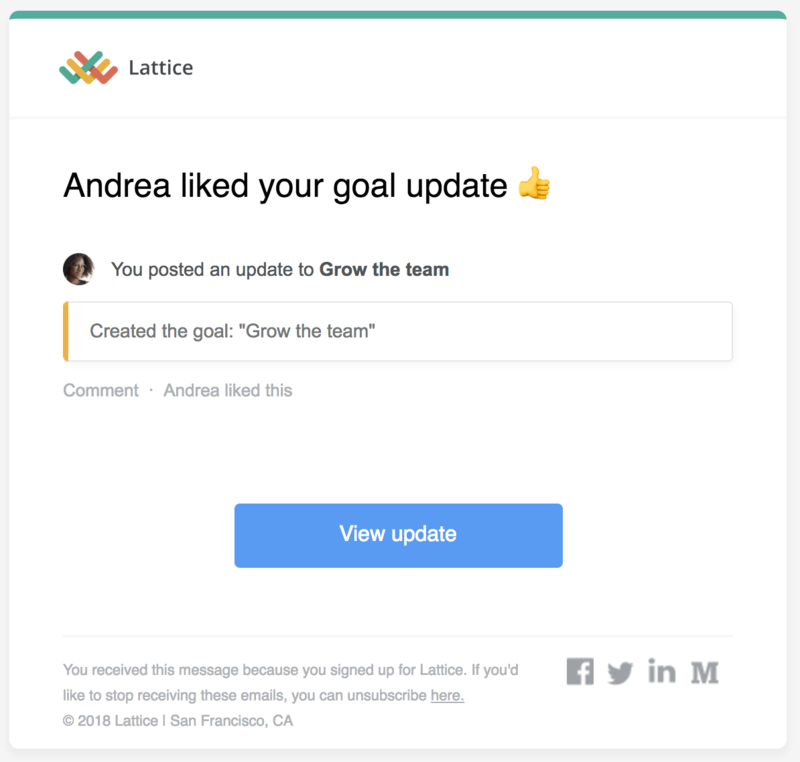 Goal Update Reminder: Admins are able to edit the cadence at which you receive a reminder to update your goals.